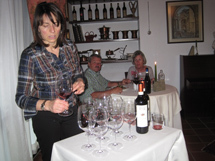 Our flagship tour, Paradiso in Piemonte exemplifies our philosophy of “pedala forte, mangia bene”. 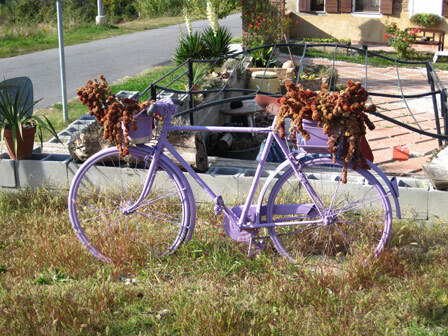 If ever there was a trip for lovers of Italian food, wine and cycling – this is it. 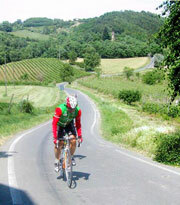 Piemonte’s the home of the Campionissimo, Fausto Coppi and rivaled Tuscany as a producer of great cycling champions. 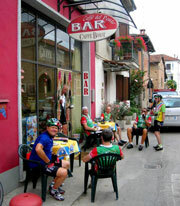 Ride the roads, enjoy what is described as “Italy’s Most Glorious Regional Table” and experience true paradise. Day 1 – Overnight flight to Milan. Day 2 – Benvenuto! We’ll pick you up at Malpensa and shuttle you to Hotel Ariotto, in the Monferrato hills, recently declared a UNESCO World Heritage site. Assemble your bike and take a test ride through rolling wine country or visit with new friends at the panoramic pool before our sumptuous welcome dinner. Day 3 – The Roads of Champions await as we depart Ariotto among rolling hills, then string together historic villages in the Po river valley on our way to the historic wine town of Gavi. A shady road carved into a verdant hillside leads us to l’Ostellerie, a charming lodging nestled into the famous Villa Sparina wine estate. Take in the peaceful vineyard vista and maybe a tour of the cantina before we gather for a welcome drink and authentic local cena in the famed La Gallina ristorante. Day 4 – On today’s cycling loop your legs will feel how these roads shaped the careers of champions like Girardengo and Coppi as you climb and descend with one eye on the road while the other admires the gorgeous scenery. We make a pilgrimage to Castellania to view the tombs of Fausto and Serse Coppi and (we hope) enjoy lunch with a member of the Coppi family. This afternoon we’ll visit the Museum of Champions in Novi Ligure and perhaps enjoy a pizza for dinner? Day 6 – Enjoy an extra piece of Carlo’s hazelnut cake for breakfast as the switchback climb to Mombarcaro is among the steepest roads we’ve seen. It’s just one of the features of today’s scenic loop along the ridge of Alta Langa. 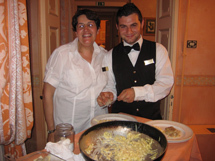 Pause for a lunch of fresh-egg pasta, then return to the hotel in time to relax with a book in the hotel’s poolside garden or perhaps Carlo will show us his award-winning cantina? 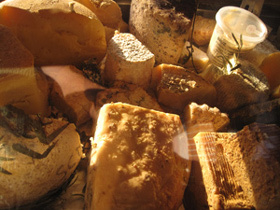 Tonight we’ll indulge in more Piemmonte specialties in the nearby artistic village of Bergolo. 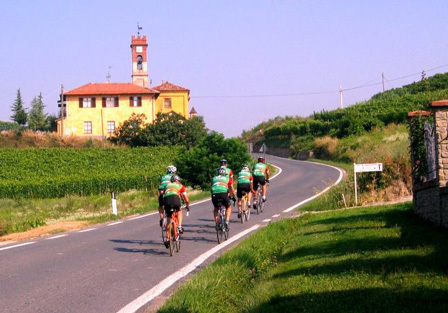 Day 7 – Today’s route winds through Barolo country, visiting the town itself and rolling by most of the famous vineyards – truly theaters of wine. Stop at a local trattoria for lunch of local meats and cheeses complemented by a young Dolcetto wine, or browse the museum of wine and truffles at the castle-enoteca in Grinzane Cavour. 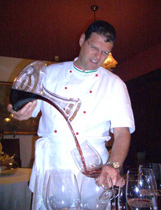 We’ll cap the evening with another splendid meal at Villa San Carlo, perhaps Carlo will treat us to a dish he cooked for Sophia Loren? 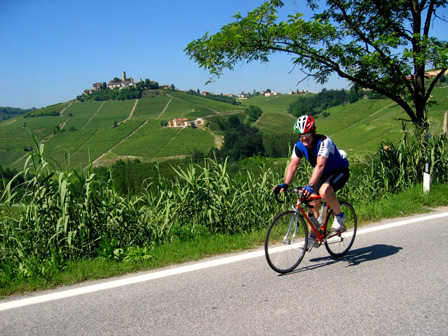 Day 8 – Today we return to Monferrato, a quiet farm country of gentle hills typical in every way except that the farmers grow grapes for some of the best wines in the world. You’ll recover quickly from the challenging ride as you relax with a refreshing splash in the pool before sampling Carpaccio Ariotto and Risotto al Tartufo at our farewell dinner. 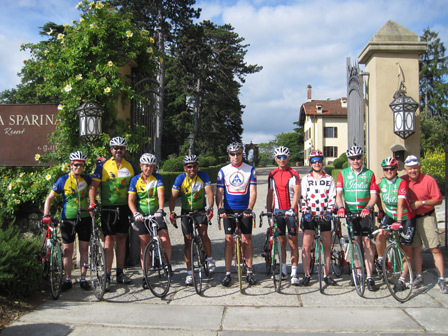 CycleItalia is very fortunate to have our Best of Piedmont tour featured in BICYCLING Magazine’s July 2013 issue. 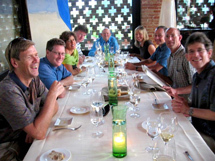 “Feast Your Thighs” by David Darlington recounts his experience as he enjoys “pedala forte, mangia bene” on our flagship tour.